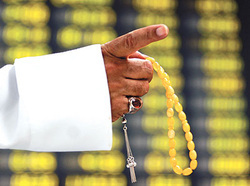 Although Sukuk represent Shari’ah compliant alternatives to traditional derivatives, they are widely regarded as controversial due to their perceived purpose of evading the restrictions on Riba. Conservative scholars do not believe that this is effective, citing the fact that a Sukuk effectively requires payment for the time-value of money and offer investors fixed return on their investments which is also similar in appearance to interest. The trading and selling of debts, receivables, conventional loan lending and credit cards are not permissible in Islam; and as Sukuk results in a debt, it could not be traded other than at face value as debt and money cannot change value with passage of time. Sukuk help Islamic institutions enhancing liquidity and balance sheet mechanisms, and although the investor's return is not necessarily dependent on the risks of that particular venture, Islamic banks that issue Sukuk are investing in real assets. The return on these assets takes the form of rent, and is uniformly spread over the rental period. The asset underlying the value of the certificate provides more security for the investors and the productivity of the asset is the basis of the return on investment. The claim embodied in Sukuk is not simply a claim to cash flow but an ownership claim. However, most Sukuk have been sold with a repurchase agreement, stipulating the borrower will pay back the face value at maturity, mirroring the structure of a conventional bond. Many Islamic scholars consider that the promise to pay back the capital runs counter to Islamic law and that it is against the risk sharing principle of Shari’ah but the avoidable business risks may fall into the category maslahah that mitigates that position. Still that the bonds with repurchase agreements should be made more Shari’ah-compliant; for that purpose, Sukuk should be issued for new commercial and industrial ventures. If they are issued for established businesses, then the issuers must ensure that Sukuk holders have complete ownership in real assets (Sukuk and their Contemporary Applications By Muhammad Taqi Usmani; 2005). In addition, any resale of the assets must be undertaken on the basis of the net value of the assets, or at a price that is agreed upon at the time of purchase and not at face value.